I am trying to get back into my video-making swing of things so today I busted out the video camera, and whipped up this easy fall recipe. 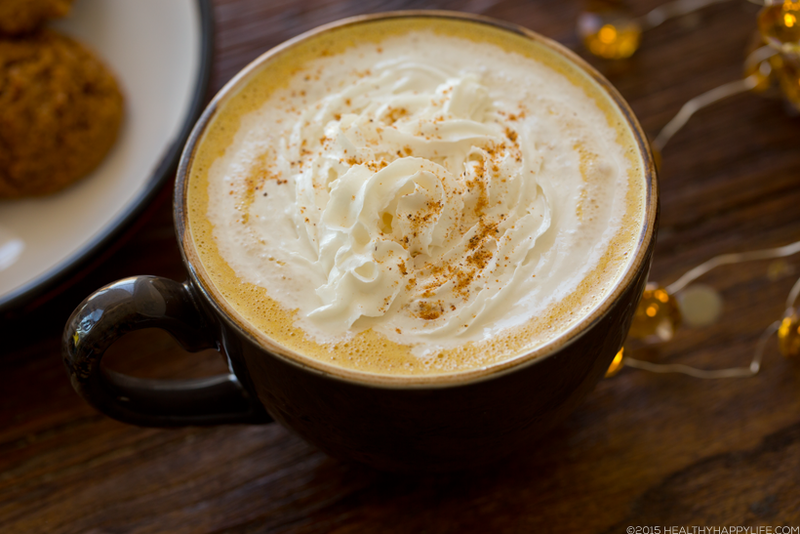 My dairy-free, egg-free Vegan Pumpkin Nog, with a swirl of soy whip on top, is a warming, cozy beverage that you can start serving right now and enjoy all fall and winter long. 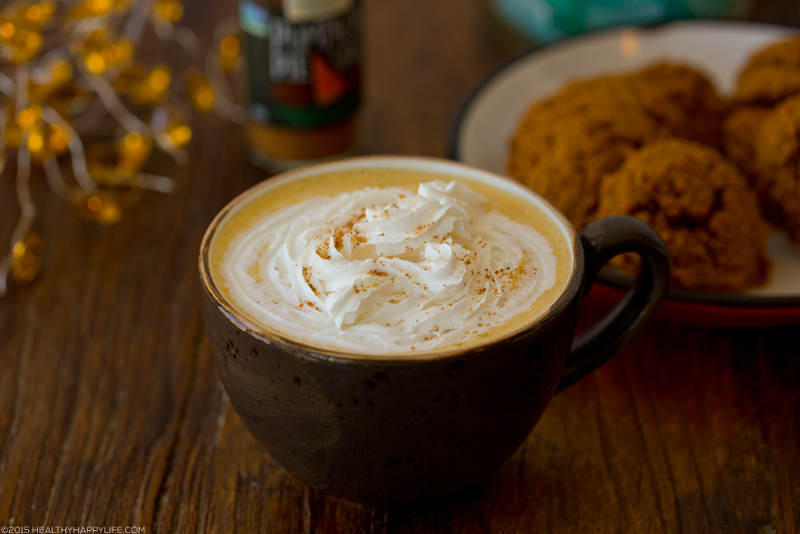 This recipe is a spin on my popular Hot Pumpkin Mug, but with a creamy cashew spin on things. TIP! To get your warm mug beverages extra frothy, blend them in a Vitamix. Order my favorite Vitamix, the 5200. But this post is special mostly because it contains a new video! I hope you watch it and subscribe to my YouTube channel + thumbs up today's recipe, to help encourage me to film more video recipes. To Do list. So RIGHT NOW lets make Pumpkin Nog, pull on some cuddly fall socks, put a festive movie on TV (Hocus Pocus anyone?) and enjoy a cozy fall day of "chill time." This mug packs a healthy-filling-delicious punch. 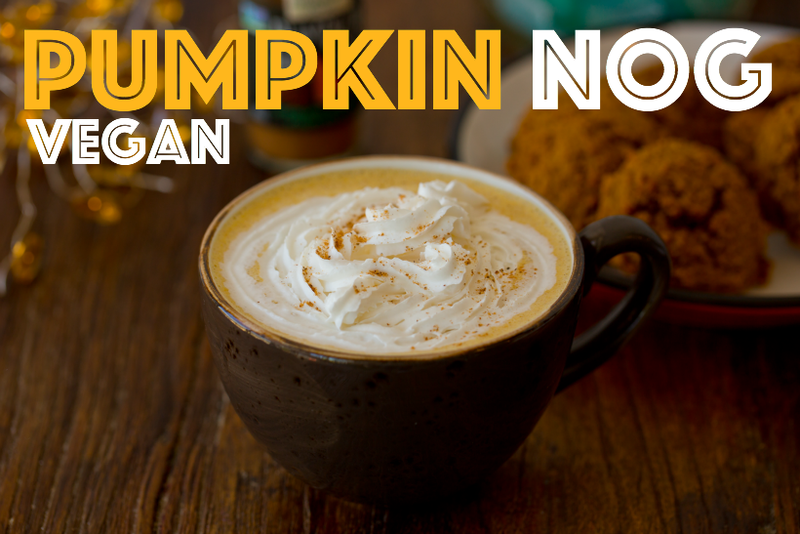 It contains healthy fat cashews and vitamin A rich pumpkin, along with warming spices and whatever non-dairy milk goodness you choose. 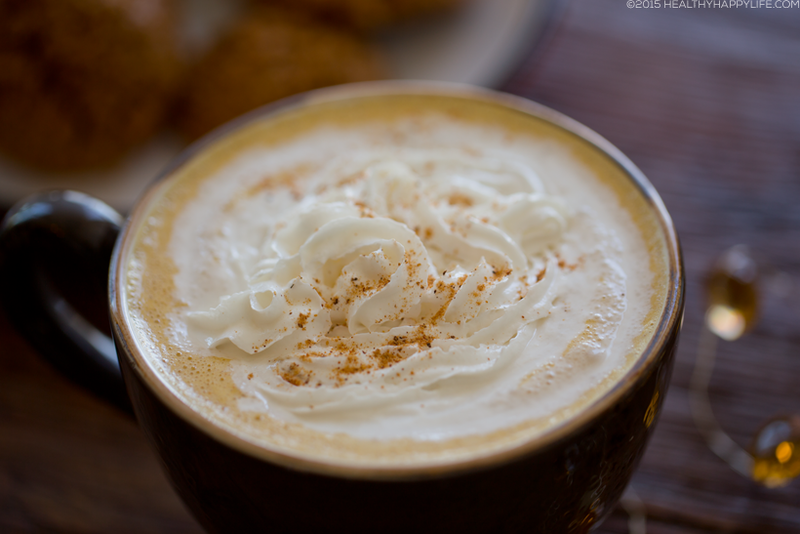 Creamy, rich Pumpkin Nog with fall spices and cozy flavors. Add all ingredients except the sweetener to a high speed blender. Blend until creamy. Blended in my Vitamix of course. Order your Vitamix using my coupon code 06-006170 and you receive free shipping. Pour mixture into a small soup pot. Warm over high heat on stovetop. Warm until just under boiling. 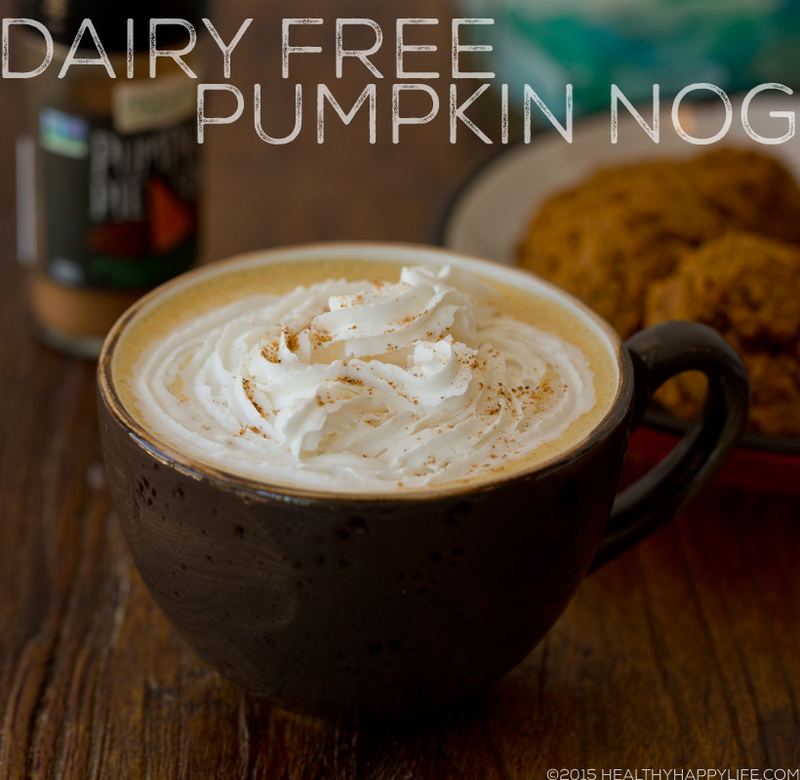 Pour into serving mug(s) and top with non-dairy whip. Add a pinch of nutmeg or cinnamon on top!